Across a six-month period, Werner Herzog conducted three interviews with Mikhail Gorbachev that are the foundation for this riveting film, co-directed by André Singer. In over 50 years of filmmaking, Herzog has scarcely engaged with a politician so directly. He clearly admires Gorbachev for being the kind of world leader that's in short supply today, known for his grace, wisdom, and commitment to peace. Now 87, Gorbachev speaks like a man with nothing to lose. He is respected more outside Russia than inside, where he's blamed for the Soviet Union's breakup in 1991. He laments that "we didn't finish the job of democracy in Russia." And he worries that others took the wrong lessons from perestroika: "Americans think they won the Cold War and this went to their head. What victory?" 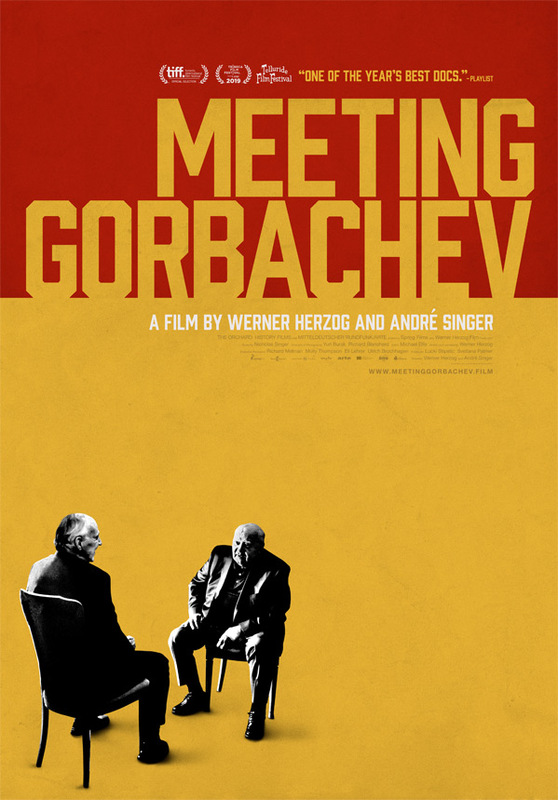 Meeting Gorbachev is co-directed by prolific German filmmaker Werner Herzog (Cave of Forgotten Dreams, Into the Abyss, Lo & Behold, Into the Inferno) & Andre Singer (Where the Wind Blew). This premiered at the Toronto Film Festival last year. The Orchard will open Meeting Gorbachev in select theaters starting on May 3rd. Who's interested?